Scott Ian, famous for cofounding legendary thrash metal band Anthrax and only slightly less so for his iconic beard, has done and seen a lot in his decades of touring. 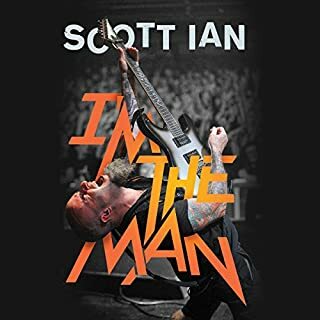 Those of you who have heard Scott's memoir I'm the Man may know the history of the band, but Access All Areas divulges all the zany, bizarre, funny, and captivating tales of what went on when the band wasn't busy crafting chart-topping albums. Quick listen and a funny well told book. 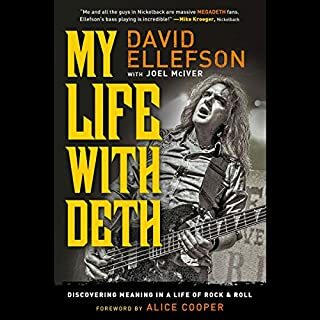 In My Life with Deth, cofounder and bassist of Megadeth David Ellefson reveals the behind-the-scenes details of life in one of the world's most popular heavy metal bands. If you're looking for revelations, they're here, including the drug habits that brought the band members to their knees. You'll learn of David's unsuccessful attempts at rehab and the period when he was strung out on methadone, cocaine, and heroin - all at the same time. This book just may save a life. Loud rock, fast cars, and Cabo. This is the life of Sammy Hagar. For almost 40 years, Sammy Hagar has been a fixture in rock music. From breaking into the industry with the band Montrose to his multiplatinum solo career to his ride as the front man of Van Halen, Sammy's powerful and unforgettable voice has set the tone for some of the greatest rock anthems ever written - songs like "I Can't Drive 55", "Right Now", and "Why Can't This Be Love". Bon: The Last Highway is the original, forensic, unflinching and masterful biography Bon Scott has so richly deserved and music fans around the world have been waiting for. The legend of the man known around the world simply as 'Bon' only grows with each passing year - in death the AC/DC icon has become a god to millions of people - but how much of his story is myth or pure fabrication, and how much of the real man do we know? The authorized biography of the most notorious rock manager of all time, Peter Grant, best known for his work with Led Zeppelin. 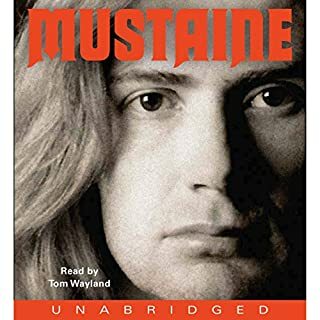 Often acknowledged as the "fifth member of Led Zeppelin", Grant's story has appeared in fragments across countless Zeppelin biographies, but none has explored who this brilliant and intuitive manager yet flawed and sometimes dangerous man truly was. No one has successfully captured the scope of his personality or his long-lasting impact on the music business. Acclaimed author and journalist Mark Blake seeks to rectify that. There would have been no KISS without Gene Simmons, the outrageous star whose superlong tongue, legendary sexual exploits, and demonic makeup have made him a rock icon. KISS and Make-Up is the wild, shocking, unbelievable story, from the man himself, about how an immigrant boy from Israel studied to be a rabbi, was saved by rock and roll, and became one of the most notorious rock stars the world has ever seen. 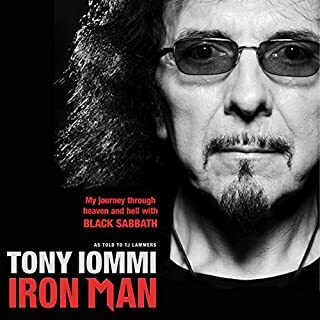 A long-awaited memoir from the larger-than-life, multifaceted lead vocalist of Iron Maiden, one of the most successful, influential, and enduring rock bands ever. But OTT front man is just one of the many hats Bruce wears. In addition to being one of the world's most storied and well-respected singers and songwriters, he is an airline captain, aviation entrepreneur, motivational speaker, beer brewer, novelist, radio presenter, and film scriptwriter. He has also competed as a world-class level fencer. Often credited as a genuine polymath, Bruce, in his own words (and handwritten script in the first instance! ), sets forth many personal observations guaranteed to inspire curious souls and hard-core fans alike. 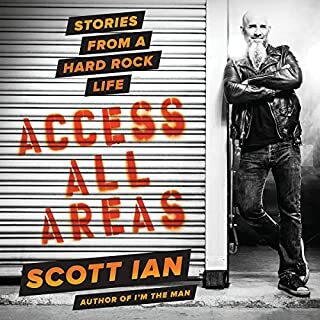 Bold, honest, intelligent, and very funny, his memoir is an up-close look inside the life, heart, and mind of one of the most unique and interesting men in the world - a true icon of rock. If you think heavy metal is dead, think again. 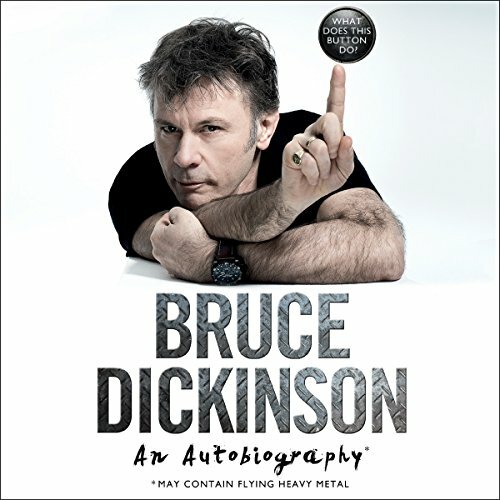 Bruce Dickinson tells his story of his life as the front man for Iron Maiden and all that goes into it. Including playing in front of crowds 250 thousand strong! (Try that you banjo-playing, whistling hipsters). He also ties in his growth of becoming an airline captain, a script writer, a fencer, and obviously an author. Bruce is full energy and inspiration and his writing nothing less than brilliant. 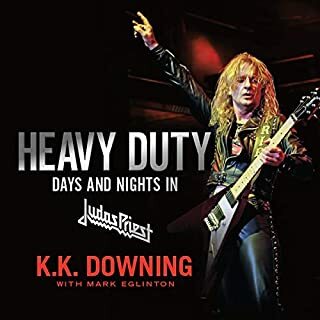 I recommend the audio book for anyone with a taste for metal. What delivery! More reasons to respect the man are contained within the pages of this book. Excellent and inspiring read. “Nothing in childhood is wasted.” Simply inspired work. Please Tell me Bruce is working on a 2nd book! Great storytellers are to be cherished -the more years that pass by the more you recognize the great ones. Bruce takes you into a common English home of the 1960's and you feel like you spent a year in one of his family's many living rooms. From the studios of the Beast recordings to the experience of Auschwitz then surviving Sarajevo all the way through the return of the Maiden Machine and all his endeavors you just want more stories and insight. For many of us we saw the greatness -as a singer, entertainer -now we see the greatness of a good decent person -an inspiration. You don't have to be a Maiden fan -these stories transcend all genres of music and take you on one great story! Most anyone who reads / listens to this knows of Bruce’s accomplishments. What a great narrator. I can’t imagine this having been read by anyone else, nor would reading the book on my own have done it justice. Fabulous autobiography ! Up the Irons!! So entertaining and well performed. Easily the most enjoyable audiobook I've heard. It made me an even bigger fan of both Bruce Dickinson and Iron Maiden. If you’re looking for all the dirty details of a rock star’s life you won’t find it here. However, what you will find are interesting tales from a renaissance man. It was quite refreshing!! Dickinson’s reading was superb so much so I’d love to hear him read other books. Bruce is an amazing storyteller, and a fascinating character. From singing to flying, he has stories that kept me listening with excitement until I ran out of book. Bruce delivers you the theatre of the mind! Having him read his own book brings such an amazing dimension to the stories held within. Listening to the stories of how Iron Maiden came to be what they are and the life they lived is amazing. Bruce's British accent took a bit getting used to, he often rambles, goes off on tangents, and quickly changes the subject so it was a little difficult to follow at times. Having said that, he's very witty, a good story teller (despite my aforementioned criticism), and overall this ended up being a very relaxing and enjoyable listen. It was kinda like hanging out with him in a pub having a few pints.